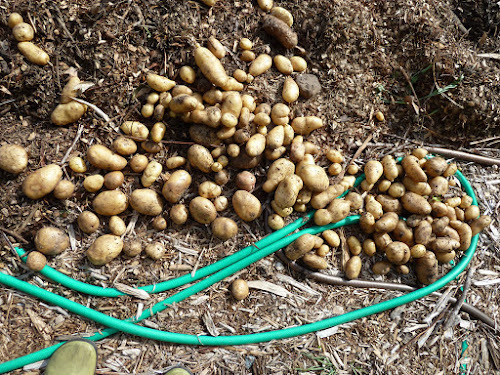 My Home and Garden: Potato day...it's potato day!! The one job Allan loves is digging potatoes. Today was that day. Tonight, for supper, we ate mashed potatoes. That is all. Mashed potatoes, with butter, salt and pepper. Just like we did as kids. Honestly the best potatoes I've ever had. Next we will try our red potatoes, which my brother swears taste just like my grandparents. Stay tuned. 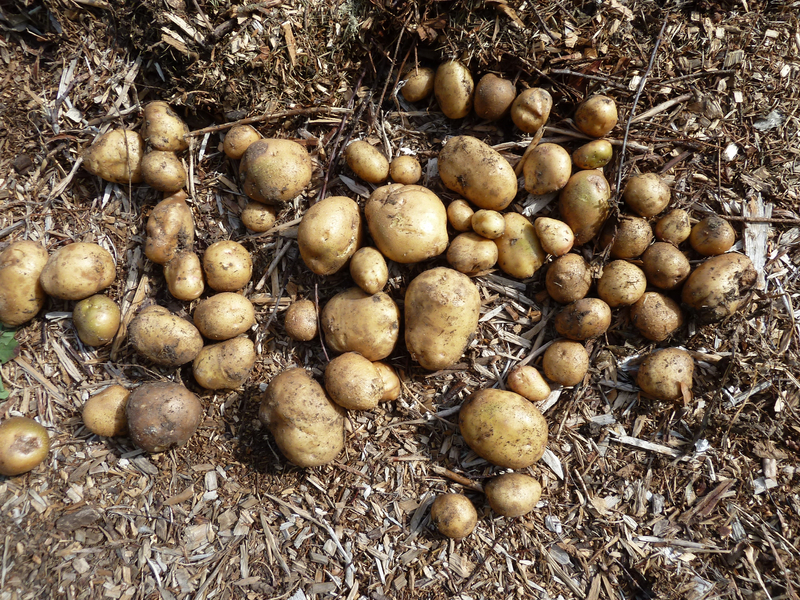 Here are pictures of our harvest. 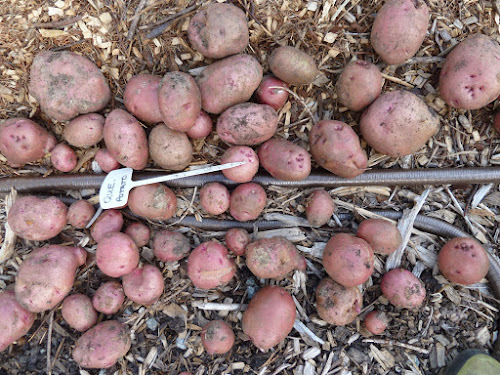 These potatoes are as big as about six inches long. These are the six piles we ended up with. 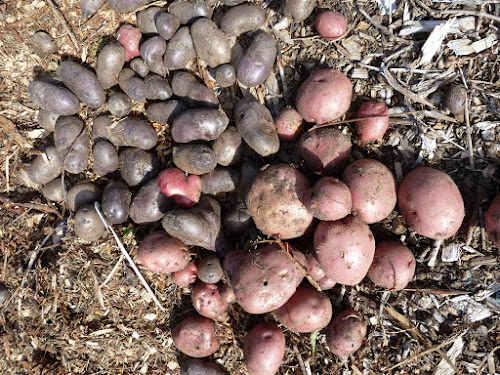 The purple potatoes are regular size. Shows you how big these reds are. 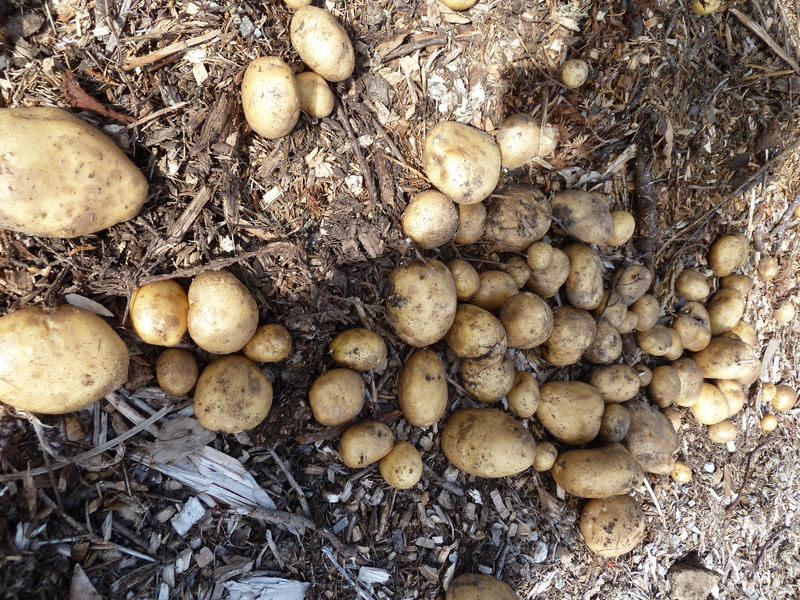 Piles of potatoes!! Don't you love it. Keep some of the middle sized ones in a cool place over the winter and you should get lots of sprouts for free next spring. 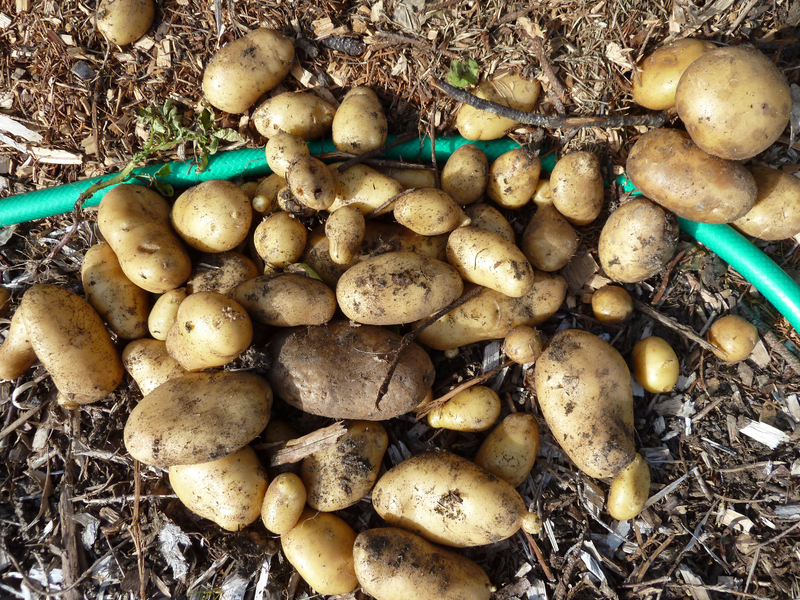 Yummy homegrown potatoes. We've been enjoying ours as well. 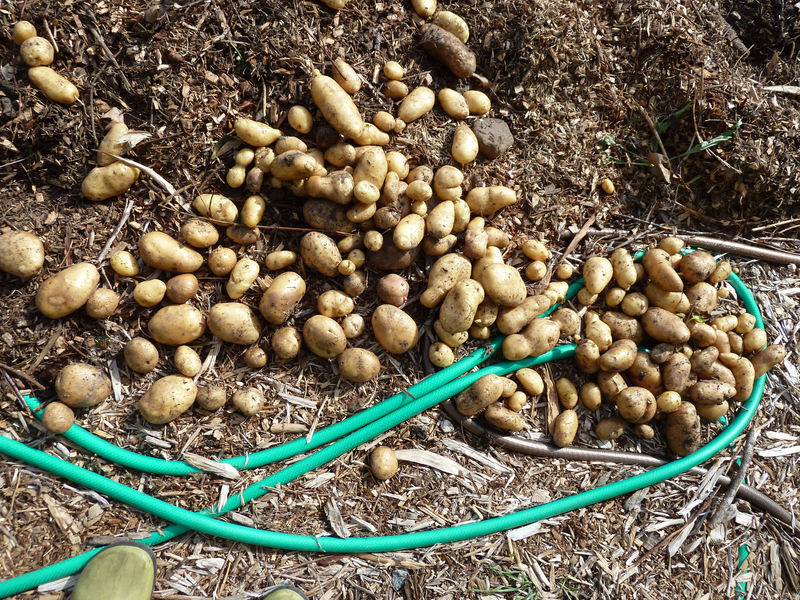 I grew lots in big bags this year, so much easier for harvesting. Thanks George. I didn't realize you use medium potatoes for seed. Thank you!! 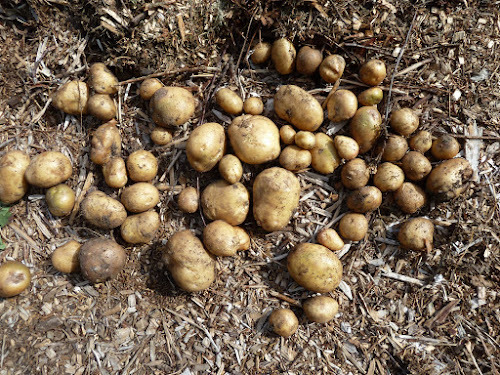 My favorite way to eat potatoes is to mash them sans butter and add canned tomatoes, salt and pepper. I can make a meal of that. I start with 2 russets peeled and 1 pontiac unpeeled. Boil as normal, drain, return to the pot, mash coarsely and add some canned tomatoes (roughly cut, with flat wooden spatula or kitchen scissors), salt and pepper. Mix together and yummy. This is also a very good way to use up left over potatoes.